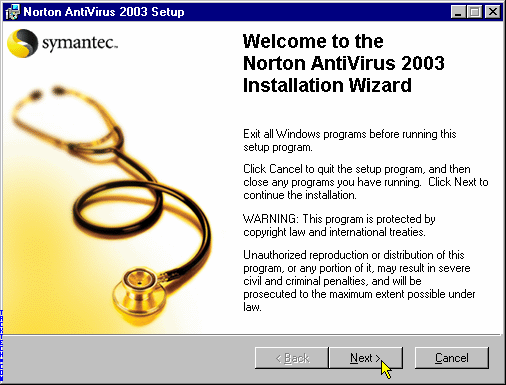 Installing Symantec: Norton AntiVirus 2003 (Anti-Virus) [Page: 1 of 2] - TACKtech Corp. 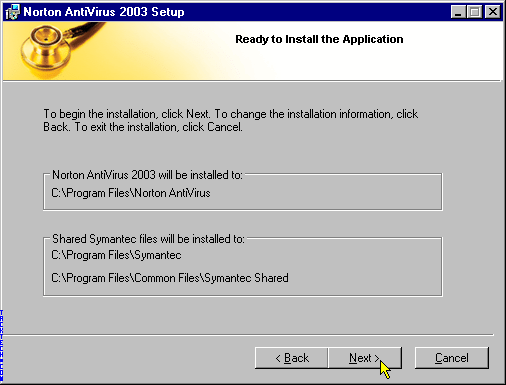 Installing Symantec Norton AntiVirus 2003. 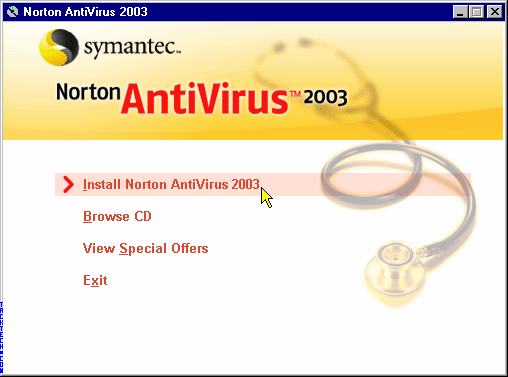 Click Install Norton AntiVirus 2003. Wait for the Windows Installer to initialize. 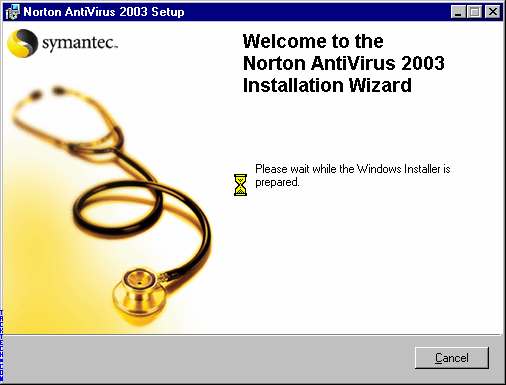 Wait while the Windows Installer is prepared. Exit all Windows programs as recommended. 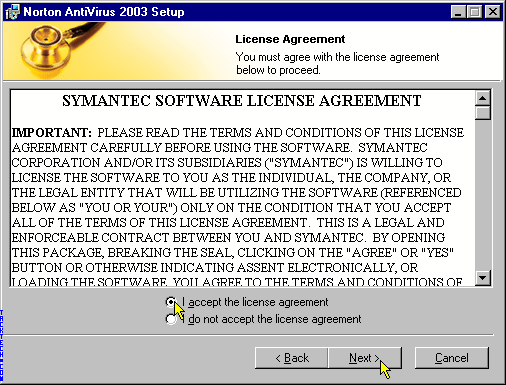 Select the option I accept the license agreement. 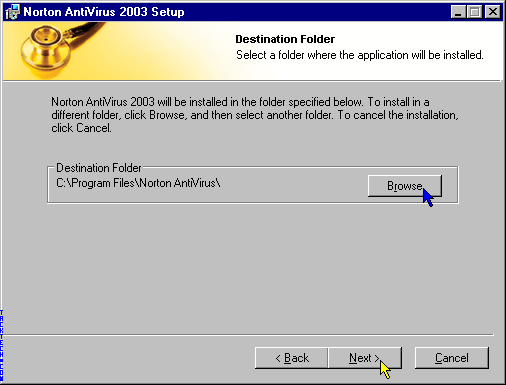 On this dialog you can leave the default Destination Folder or if you would like to change it click the Browse button. Verify the settings are correct. 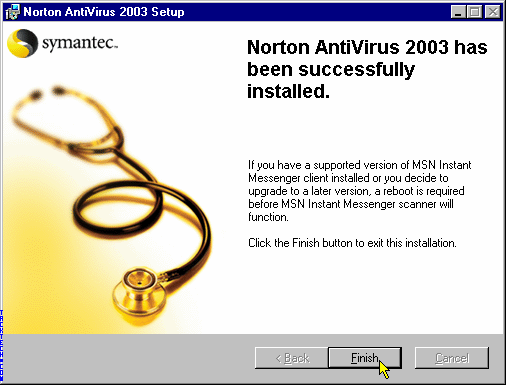 Wait for Norton AntiVirus 2003 to install. 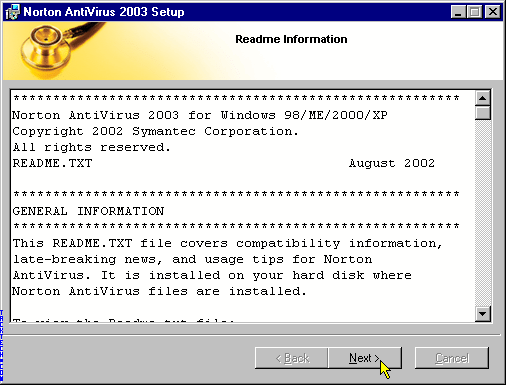 * Note: On some versions of Windows you may be prompted to Restart Windows. Click the Yes button.